Another new product from Clarins this spring is the Instant Light Lip Comfort Oil. This is the grown up version of the roller ball gloss that I used to use back in the 80s! It is the break through formula from the expertise of oils that Clarins is known for. 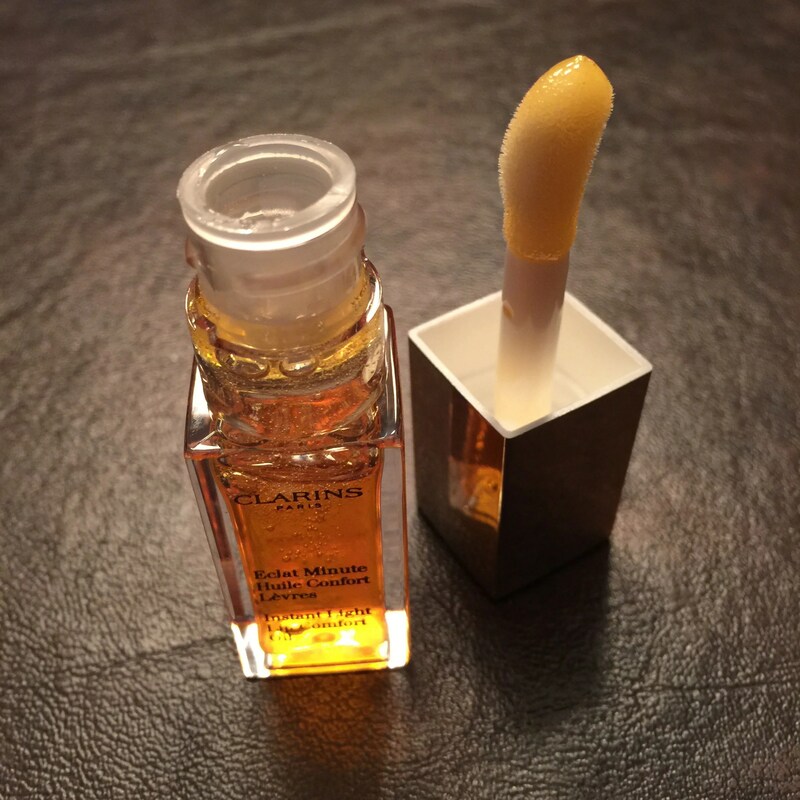 It’s a gel-like oil that nourishes lips while giving a gloss look without the goop. It is fabulous on its own or over lipstick to moisturize and give some shine. The applicator is a wand, and the applicator tip is shaped wide, and with a soft cloth cover, that makes it feel like you is applying the oil with your finger. Using the applicator, the Clarins Lip Oil gives that organic feeling without the mess of gloss or balm on your finger tips. It is a limited edition in honey and raspberry with a subtle flavor and a whole lot of nourishing goodness. It’s also perfect for a tween or teen that is not yet wearing makeup to get a department, and not a drugstore, product to make that transition. They’ll feel like they are grown up while you feel like your making sure they are not growing up too fast. Just make sure to stash one away for yourself too.